A rich and varied glimpse into the creative processes of a broad array of contemporary architects. While digital technologies have pushed the boundaries of architectural creation, conceiving an original and appropriate design is as challenging as it has always been. As this book shows, however, a recent return to the basic act of putting pen or pencil to paper has produced some of the most successful buildings of the past decade. Making Marks follows the highly successful Architects’ Sketchbooks, which presented the rich breadth of sketches created by contemporary architects post digital revolution. Taking a post-digital perspective, the sixty renowned architects whose work is collected here show how drawing and new forms of manual presentation have been refined since the reawakening of this basic technique. Revealing why hand-drawing still matters, this global survey presents the freehand drawings, vibrant watercolors, and abstract impressions of a broad and eclectic array of rising talents and well-known names, including Jun Igarashi, Deborah Saunt, Daniel Libeskind, Meg Graham, and Brian MacKay-Lyons, to name but a few. Author Will Jones’s introduction reviews the importance of the physical sketch and its vital role in the creative process. 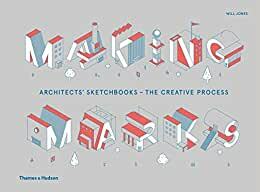 Spanning diverse approaches, styles, and physical forms, Making Marks is not merely a compendium of the preoccupations and stylistics of current practice, but a rich and varied insight into architectural creativity. Will Jones is a journalist and writer specializing in architecture and design. He is the author of several books, including Architects’ Sketchbooks.